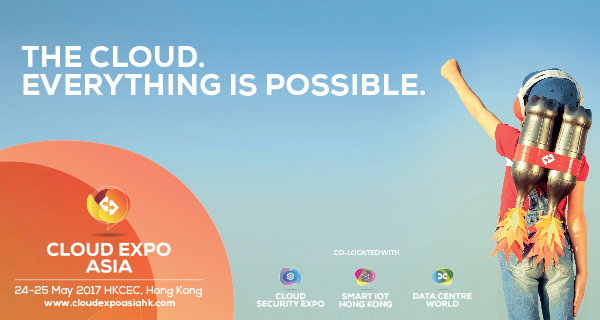 Hong Kong, China, April 21, 2017 /ChinaNewswire.com/ - An international line-up of industry-leading suppliers and expert speakers will be welcoming thousands of visitors to Hong Kong Convention and Exhibition Centre (HKCEC) on 24 -25 May, for the highly-anticipated return of Cloud Expo Asia and Data Centre World and premiere of Smart IoT and Cloud Security stream. The co-located events will address the demand for knowledge and growth in the cloud, Internet of Things and data centre industries. Attendees will have the unique opportunity to test and compare solutions, products and services presented by over 150 international suppliers, such as Alibaba Cloud, Baishan Cloud, China Mobile, Digital Realty, Druva, Eaton Power, Emerson, Gemalto, HKT, Huayun, Microsoft, muRata, Oracle, Schneider Electric, Toten and Veeam. Visitors will be invited to interact with the top experts from leading global firms including Airbnb, Asia Miles, Baidu Research, Bluetooth, DBS Bank, GoGoVan, Google, Groupon, Hong Kong Monetary Authority, HSBC, Interpol, Octopus, Sephora, Standard Chartered Bank, Twitter, and Yahoo. The industry leaders, analysts and top technologists will be sharing first-hand advice and knowledge on key topics such as Big Data and Analytics, Cloud Security and Governance, FinTech, Energy Efficiency, Cost Management and DCIM. New for 2017, Smart IoT arrives in Hong Kong, following on from its Singapore and London editions. A must-attend event for organisations looking to harness the power of the Internet of Things to transform their business. Visitors will discover the true value of IoT deployment. Smart IoT will present a world-leading conference programme and innovative exhibition floor. In partnership with Smart City Consortium (SCC) and with the support of the Hong Kong Monetary Authority, a half-day session on information security will bring together government, regulators, the industry and academic experts from the region. What’s more to the Cloud Security stream, a dedicated theatre co-hosted with Cloud Security Alliance (CSA) to cover hot issues such as cyber security, financial big data and other latest technology and innovation. 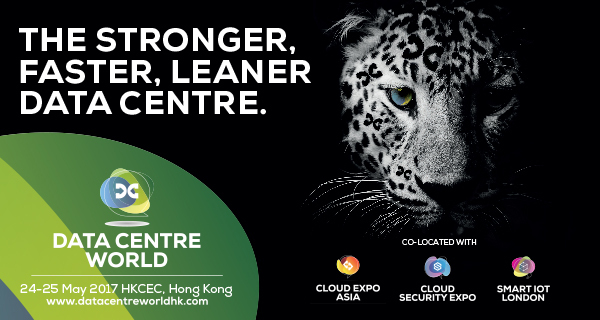 Data Centre World will feature a first for North Asia with a fully functioning Live Green Data Centre at the heart of the exhibition. Housing products from over 20 sponsors, the live interactive facility will showcase the practice complete implementations of products from cooling units and fans to cables and perimeter fencing. 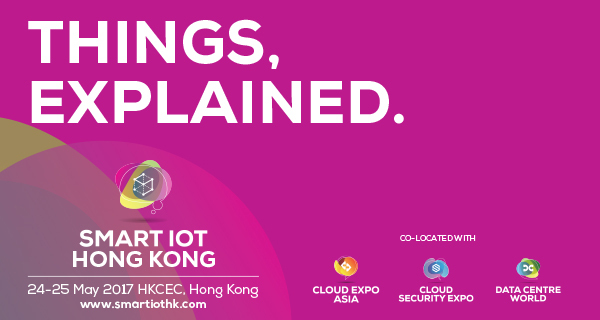 Covering the entire technology ecosystem, Cloud Expo Asia, Data Centre World, new for 2017, Smart IoT and Cloud Security stream, will deliver the inside scoop on the latest advancements in efficiency, capacity and reliability. CloserStill Media specialises in international professional events chiefly in the technology markets, across five global territories – London, Frankfurt, Paris, Singapore and Hong Kong. Listed by the Sunday Times as one of the ten fastest growing UK companies in terms of International Sales growth over the last three years, its portfolio includes some of the UK’s fastest-growing and award-winning events including Cloud Expo Europe and Data Centre World. Having delivered unparalleled quality and relevant audiences for all its exhibitions, CloserStill has been repeatedly recognised as a leading innovator with its teams and international events winning 22 major industry awards over the last 6 years in Europe and Asia including Best Marketing Manager – five times in succession – Best Trade Exhibition – four times, Best Launch Exhibition, and Rising Star – two years in succession – among others. CloserStill was also voted by the Association Exhibition Organisers members as the Most Respected Company in the exhibition Industry.